This afternoon I received news that the Alliance For The Defence of Canadian Sovereignty had met its $500,000 funding goal. I had two simultaneous/thoughts or reactions. My second thought was a feeling of amazement. Did we really do this? It’s simply amazing! Q. How could I both be so confident of our success and amazed by that very success? It’s obvious that we would achieve our funding goals because we were working with such an amazing group of people! It’s also important to recognize the important role played by both the Isaac Brock Society and Maple Sandbox for allowing us to publicize our FATCA lawsuit on their respective blogs. I offer a special thanks to Peter Dunn of the Isaac Brock Society and Lynne Swanson of the Maple Sandbox blogs. Without their generosity and support it would have much much harder to have reached this milestone. Some people ask “What happened”? You made it happen. I knew you would. Congratulations! I can tell you that there are a lot of people who would have been (and still) would be very happy to see us fail. But, that’s not going to happen. We are on the way. We are on the right side of the moral issue. It’s very simple. At the end of the day, FATCA, CBT, FBAR, etc. are moral issues. They are just plain wrong. They trample the human spirit and impede human progress. We are in a marathon and not a sprint! People will defend themselves from those governments! I am a dual citizen. I lived and worked in the USA thirty years and I am very proud of being an American Citizen. About ten years ago I decided to come back to my country of origin. Now, 80 years old and with failing health I regret having become an US citizen. I had an USA CPA doing my US taxes until 2008. He never told me about FBARS. I learned about them by chance when visiting my two daughters and son who live in the USA. Since then my life has become a nightmare. I have spent sleepless nights trying to comply with the demands being placed on me and the threats of stiff penalties that do not apply to Americans living in the mainland. I have spent a lot of time and money trying to find out what I should do to comply. My situation has become so impossible that I don’t know what to do. I have no representation. Because my country of origin has neither a tax treaty nor a Social Security equalization treaty with the USA I am required and have been paying SS Self employment Taxes to both countries, earning nothing in return. I cannot claim a credit on my USA tax return for the double Social Security tax I pay in my country of origin. Also I have a pension in my country of origin from my working here. In this country this pension is not subject to tax so I don’t pay income tax to my country on this pension. But the USA taxes me on this pension. In this country I also have some savings, the earnings on which are not subject to tax so do not pay tax here on this income. Yet I have to pay taxes to the USA on this income. It seems to me that I have now three possibilities: return to the USA with my failing health using my Medicare and Supplemental Insurance, renounce my citizenship or stop work altogether. I can’t afford to pay this much tax to two countries. Mind you that I have never invested one cent of what I earned in the USA in my country of origin. I have savings and tax shelter plans the USA which I will never bring to my country of origin. They will stay with my son, daughters and grand daughter who are Americans and live in the USA. On the contrary I frequently send money earned where I am now to them in the USA. When I heard about Amnesty to Americans living abroad who did not know about FBARS I thought that I needed to do was to start sending my FBARS to the Treasury Department. But this was not the case. I was being threatened with penalties for not knowing about them. I felt that the amnesty was a trap set for me which was very unfair. I am glad to know that Nina Olson, Tax Payer Advocate, does feel the same way. I think that the USA, as all other countries in the world, should not tax its citizens who live and work in a foreign country. We are not the same as Americans who live in the mainland who hide investments in foreign countries to avoid paying taxes. Yet we are being placed in the same category: one size fits all, when it does not. If the USA continues to tax Americans living and working abroad, which no other country does to its citizens abroad and which I do not recommend be continued, they must simplify the paper work, give more support for us, allow us to have representation in the US Congress. They should not tax our tax free pensions received from working in the other country (as it is now they tax in certain countries unless there is a tax treaty which specifically excludes them from taxation, and not in others if there is no treaty). They should allow these Americans to chose to contribute or not to SS self employment taxes to one or both countries but not obligate those living in another country to this double Social Security taxation. And there are more suggestions to be made so that we all can remain proud Americans living and working in another country. I once had the privilege of a telephone conversation with Dr. Pinheiro. He was a good man. He was a decent man. He was a family man. He was a man who “tried to do the right thing”. He was a man who believed in compliance with the law. He tried hard to comply with U.S. laws. He was a proud American citizen. He was a loyal Democrat. He supported President Obama. For all of the preceding reasons, the last few years of his life were a “living hell”. He was one of millions of people whose life was severely damaged by U.S. “Extra-territorial” taxation, FBAR and FATCA. “Override” is a poor choice of words because it is a term of art and implies the legal power to do so. Furthermore the term “legislative override” is in common use, as when Congress enacted the AMT and the 3.8% Obamacare investment surtax, both of which supersede any contrary provisions of tax treaties. And lead to double taxation, 31.8% for example in the latter case, on capital gains of persons over the threshold amount in the UK. As for the exclusion of persons who were Canadian citizens at the time the allegedly unpaid tax accrued, I assume this was a Canadian policy point. US Treasury negotiators frequently agree to foreign policy demands. (1) The UK-US treaty provides that pensions for government service paid to a citizen of the paying country is taxable only in that country. (The clause does not bind US states, which are not parties to tax treaties: In re de Mey van Streefkerk, Calif. State Board of Equalization opinion 84R-1137, 85-SBE-135, Nov. 6, 1985 (Netherlands military pension).) By comparison, a USG retiree who moves to Canada must pay Canadian income tax on his CSR or FERS pension without deduction for recovery of his own contributions: Apgar v. Minister of National Revenue, 56 D.T.C. 132, 14 Tax A.B.C. 389 (1956). With the DoJ, Treasury and State promoting tax and extradition treaty clauses that wipe out any vestige of the Lord Mansfield dictum on taxes, and with the increasing assimilation of tax offences to money-laundering, mail fraud and terrorism I am concerned. The history of extraditions from Britain to the USA, based on a treaty that was hastily agreed as an anti-terror measure and has led to few terrorist extraditions but a number of white-collar crime ones is not good. Those extradited (such as the Natwest 3, accused of being involved in the Enron fraud, but not prosecuted in Britain) are typically threatened with fantastical multi-decade sentences, then encouraged to cop a plea for a shorter sentence. All without family, decent counsel or any comprehension of American culture, legal or other. We wouldn’t know much about any of this if it weren’t for Manning, Snowden and Assange, and repeated FOIA requests by journalists. It is only a matter of degree in which the USG rules by fear, compared to totalitarian states: the gap in “degree” is huge now, but when governments view risks as existential “freedoms” (whatever that means, thank you Joe McCarthy et al) go out the window. Do we today have journalists of courage like Izzy Stone and George Seldes? If not it’s all about the economics and the access. “Citizen” Roy Cohn was on the other side, but brilliant (he graduated from Columbia Law School during the war years, too young to take the bar exam): his whole life he relied for favours and information on his contacts from Horace Mann and Fieldston Academy in the Bronx. I have seen his mausoleum at Union Field Cemetery in Queens: it towers over all the other dead: intimidation again? “Si vous nous écrivez au sujet de cette lettre, mentionnez toujours ce numéro. “La Régie des rentes du Québec verse actuellement votre rente de retraite par dépôt direct. “Nous avons toutefois constate que l’adresse inscrite dans nos fichiers comporte seulement une case postale. Afin de nous conformer aux normes plus strictes établies par le gouvernement américain, nous devons obtenir votre adresse municipale complète afin de continuer à vous verser Ia rente. • nous retourner ces documents d’ici le 15 septembre 2015 dans l’enveloppe ci-jointe. “Vous trouverez en annexe une liste d’exemples de documents admissibles. 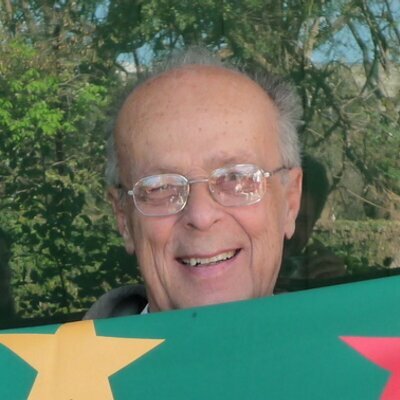 Veuillez noter que, si nous ne recevons pas ces documents dans le délai indiqué, nous devrons suspendre le versement de votre rente. “Si vous avez besoin de précisions, vous pouvez joindre un de nos préposés a Ia clientèle aux numéros de téléphone indiqués sur cette lettre. Lastly: There’s a big hullabaloo in the UK over Russian (and other foreign) investment in real property to avoid detection of assets, of money-laundering. For the moment, possession of hard assets (gold in a vault, real estate) is a loophole for FinCEN114 and form 8938. I am given to understand that Washington (and London) want to close that loophole, but I’m not sure how: “beneficial ownership” is tricky, both because the USA is the prime locus for corporate secrecy and because Land Registry rules in the UK (which limit the number registered titleholders of property to four) make it easy, and sometimes necessary, to have undisclosed beneficial owners. The present discussions concern foreign corporations (used in the USA to avoid estate tax, which otherwise would be imposed in most cases without regard to mortgage debt, leading sometimes to abandonment of US real estate at the death of a foreign owner). But maybe I’m going too far off topic. Sorry. Regardless, courts do have the ability to do exactly what they do, and they don’t get punished for it, only the victims get punished. In my experience the IRS and US Tax Court agreed with the IRS’s interpretations of those cases and the Fifth Amendment, but US DOJ and other courts overturned them. I don’t even see a difference in degree any more. Even though political offices take turns being occupied by different parties, the rule by fear and abuses of innocent people are the same regardless of which party occupies political offices, and the rule is totalitarian. Former president Carter weighed in on the US’s use of torture a few years ago too. It was gratifying to see experts speak up for Snowden, and some of them pointed out what happened to Snowden’s predecessors who did try to go through channels. A few years ago I gave donations to WikiLeaks (not to Assange personally) and Snowden. My income is lower now so my three donations to ADCS add up to about the same amounts as I gave to the others. Unfortunately I never found a fund raising organization for Manning. Even for matters more mundane than pensions, I had to prove residence by presenting utility bills and something else. My driver’s licence was considered inadequate for some reason. One time someone alleged that the fax transmission wasn’t clear, but I don’t believe it, I think the recipient couldn’t read Japanese (there’s no reason to expect the recipient to read Japanese but the recipient is the one who demanded a utility bill). Anyway, I tend to agree that a P.O. box doesn’t prove residence. Oh yeah, sometimes proof of identity is needed too (except when stealing identities). The first time I read instructions from the Social Security Administration, there was a list of documents which they would accept, and a list of documents which they wouldn’t accept, and hospital records were included in both lists. As it happens I’ve spent more years at universities in various countries collecting diplomas and licenses than I ever did at paying jobs. I did learn a few things, notably the difference between b binding precedent in the Anglo-American system and «jurisprudence constante» in the Civil-Law system. A lower court cannot “overturn” a higher court’s decision. It can only distinguish the facts. On the other hand, procedural issues may avoid what otherwise is a binding precedent. And a poor lawyer who has not done homework might fail to cite the precedent. As for proof of residence: in Anglo-American countries the problem is that unlike most or all Civil Law jurisdictions (with the voluntary exception of Louisiana and Florida), no registration of domicile (not the same as residence, but never mind) is required with a few cases in respect of aliens, or even possible. One proves current residence with a bank statement (“not online, please”) and utility bills (but hey, I’ve got those from 3 countries, including from rental properties). As identity thieves know, this crackpot system is subject to cheating. I also have 4 driving licences from different states/provinces/countries, 3 of which I actually took a road (practical) test for, partly on account of age — but the road tests I took in Canada and the USA were more than a half-century ago. (In Canada and the USA I only had to show up for an eye test to prove I wasn’t blind; Switzerland (where I don’t have a licence) requires a full medical exam from age 70. Britain makes older drivers self-certify, I guess to prove they don’t have so much dementia that they can’t. One can be tax-resident in many places at once. One can contrive “proof” of any address, almost. I don’t recall that the SSA asked for anything but a marriage licence and a passport or birth certificate, but even that was a long time ago. When my spouse applied for SSA it was over the phone and because we have a US VoIP number (and hey, that’s grounds for presumption of US Person status under FATCA don’t you know) it was actually done from overseas with a domestic SSA office, rather than at an embassy. Yes, lots of digressions. Sorry again. Do read the article I linked to; I took the trouble to post it on a safe site where it will be available for downloading for 15 days. After that anyone with a library card that allows JSTOR access can get it from there. Or it can ignore the higher court’s decision, not even try to distinguish facts, and issue rulings that can form new precedents themselves when not similarly ignored in the future. Despite being a poor non-lawyer, I DID cite appropriate precedents and I DID distinguish facts from inappropriate precedents when they were inappropriate (for example my opponent cited Nasharr, but Nasharr actually owed unpaid taxes and in my case the US owes me unpaid refunds). More seriously, sometimes courts made up stuff that neither party believes, and made up rules that neither party wanted (for example I cited a precedent where fabrication of a social security number was punishable, but the Federal Circuit made fabrication of a social security number MANDATORY when the SSA neither granted nor rejected the application and the IRS rejected ITIN applications). Courts are free to do all this stuff because they don’t get punished. Only victims get punished. There is more to it. Despite whether the US or courts obey 6103 or overturn it, treaties create an even worse problem than IGAs do. Governments can decide arbitrarily that they will obey treaty provisions to share information, governments can decide arbitrarily to disobey treaty provisions about how the shared information will be used, and further details are under seal in Tax Court. In my experience the IRS and Tax Court comply with the Supreme Court in the Sullivan and Garner cases, but other courts do not. Thank you for your troubles. The contents are longer than the 4 relevant pages of the IRS Criminal Tax Manual, but the meaning seems to be the same. Returns had to be filed and had to declare amounts of income but particular questions did not have to be answered when protected by the Fifth Amendment, in particular source of income. We had already complied. The IRS accepted it and Tax Court accepted it, but the DOJ and other courts did not. Furthermore, the IRS carefully asked a few details over the phone, asking questions whose answers did not need protection (again the IRS accepted my answers — and had they not accepted, they could investigate whatever they wanted with regard to those careful questions, no problem). Oh no. When Skype stopped working on an old computer used by my cousins, one of the alternatives that we tried was VoxOx. VoxOx assigned a US VoIP number to my cousins who never visited nor tried to visit the US, and whose parents are not[*] US persons and never visited nor tried to visit the US. We’ve already warned them not to marry US persons unless they’re going to move to the US. But it looks like they’re in trouble anyway. I guess I have to get them ITINs somehow in order to file FBARs for them. It looks like the IRS can’t approach forums in other countries either, besides Canada. The IRS told both me and my wife[*] that they intend to levy our state refunds from Tokyo. I wonder which court they would use for that. By coincidence Ome city hall recently calculated that I was due refunds of parts of income taxes that had been paid to Ome and Tokyo in two past years, but Ome city hall promptly seized the refunds themselves because income taxes had not been paid to Ome and Tokyo in one past year. My employer had withheld city and state taxes from my salary in all three of those years, but had failed to remit them one of those years. I had half a mind to inform the IRS so they could fight with Ome or Tokyo over who gets the portion of the seized refunds that came from Tokyo. But if the IRS can’t sue in Tokyo District Court, I wonder where they’ll go.